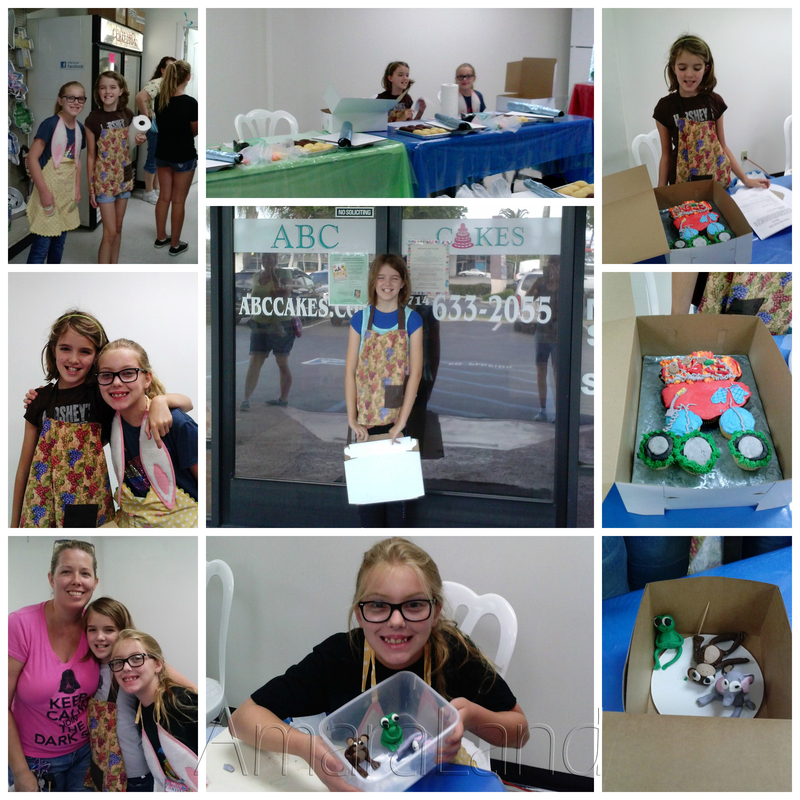 Last week Amara attended ABC Cake Camp and had a great time honing her skills. We love ABC Cakes. They made our wedding cake and many of Amara’s birthday cakes. Cake Camp was from 10AM to noon Monday through Friday. There were probably 10 other students in the class and Amara was thrilled when one of them was a friend of hers from school! The two girls sat next to each other for the entire week. Cake Camp would have been fun anyway but sharing it with a friend made it even better. I was lucky and got to go with her Mommy on four of those days to drop Amara off and pick her up. While Amara did Cake Camp, we spent the time together shopping (mostly produce, Michael’s and Joann’s) and having fun just spending time together. 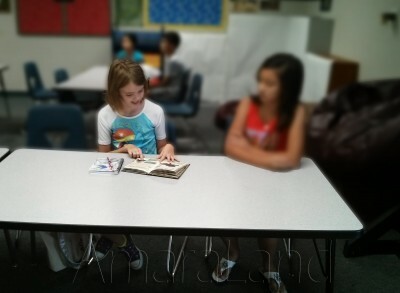 It also meant I got to listen to Amara read to us from the curriculum what they would be creating each day. They had three different teachers over the 5 days, “each teaching their own specialty” as Amara explained it. It also meant I was there to see and photograph (poorly) with my phone all of their wonderful creations. The one day I didn’t go with them Jenna sent me a picture of her amazing cake. Amara brought that cake with her Saturday night and we all had a big piece of it. It was an Under the Sea themed cake. She was especially proud of her turtle and sea horse she made with marbled fondant using a candy mold! Jenna and I both love to bake and decorate but neither of us have ever been very successful with fondant so since Amara has officially had a class on how to make animals out of fondant she is officially the Fondant Queen and will have to share her knowledge with Mommy and me. I’ve already found some really cute Garden Cupcakes that are topped with little fondant vegetables that I am hoping she can teach me how to make! This week Amara is off to college! A weeklong class in video gaming and programming! For weeks now, I have been talking about Amara starting college! I just love the way it sounds even if it is just a one-week summer school course! She is so well rounded! We are so very proud! This memory was posted in Indoor Fun and tagged ABC Cakes, Amara, baking, Cake Camp, decorating on July 22, 2014 by Grandma Kc. 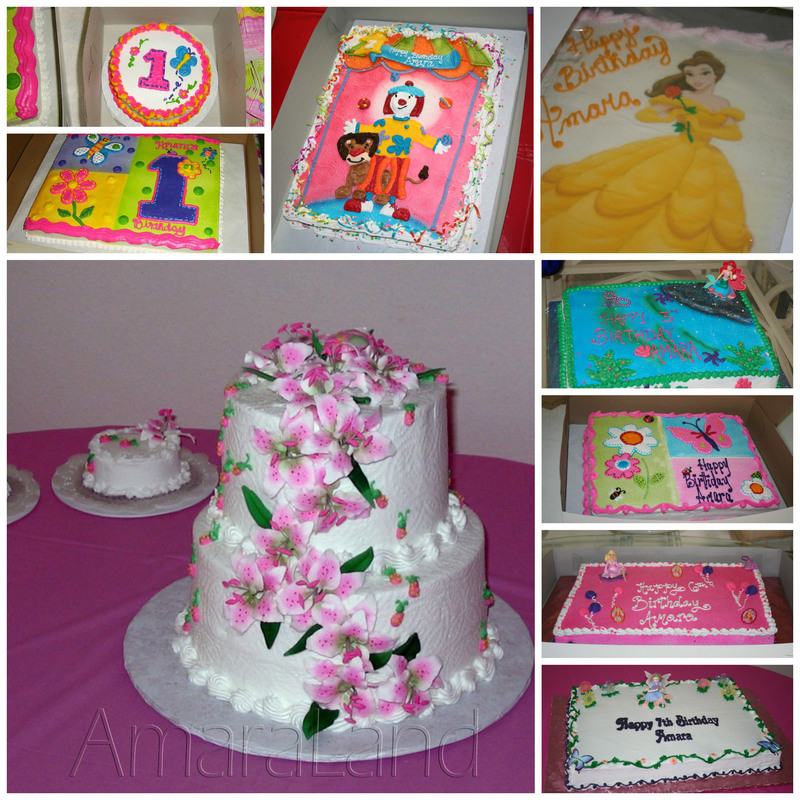 Amara did a fabulous job with her cakes! And I agree: Everything is much more fun when done with a friend. Kudos to her for mastering fondant. I have never tried it myself because I’ve heard horror stories of how difficult it is. It’s pretty awesome that Amara will be the official fondant creator in your family. Amara is having a blast this week and I really hope they decide to send her back for another week of cake camp. She is very excited about trying to make more things with fondant and to teach me and Mommy how, too. Of course it does help that she is really artistic. I’m not sure my monkey would look like a monkey. I was never great with clay either! But it will be fun trying! I took Wilton classes, too but it was more like 25 years ago! The sure have cool new stuff! I should have mentioned she is also taking swimming lessons this summer and she can’t wait to try out her stronger swimming skills at the beach! Maybe tomorrow but if not then one day next week for sure! Wow! Cake camp. That should be very popular. Amara will no doubt happily live up to her fondant queen responsibilities. She is taking her new title very seriously and is already requesting a special trip to ABC Cakes to get supplies so she can teach me! “Well rounded” is certainly the term to describe Amara! Her enthusiasm for many different pursuits is infectious! I’d take this class if I could! I’m always amazed at what detailed decorating can be done on cakes and cupcakes if you know what you’re doing. I know Amara has had art lessons too, so she will be able to master some really nice things. The pictures you took are really cute. I’m so glad Amara had a friend to enjoy everything with! Amara is so sweet and so confident in all these situations. The older girls were coming up to her before class to find out which box they needed to bring and she would ask them if they had their aprons with them and their paper towels. But she doesn’t do it in bossy tone at all more like a teacher and certainly more like their elder! 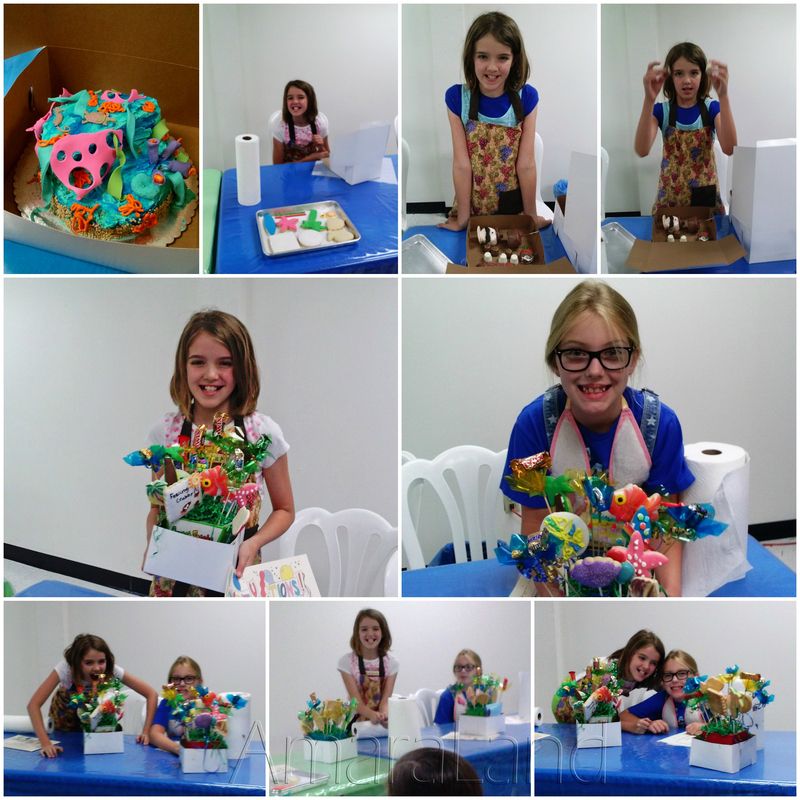 And you’re right about her art certainly helping her with the class, especially the fondant! I hope she goes back! Amara is such a well rounded little girl… what a sweet spirit she sounds like. What great opportunities she is having, that is wonderful ? A sweet spirit really describes her well. She is very much like her Mommy in that she would do anything for anyone. And she really is so much fun! I feel so lucky to have them all close by and to get to be part of it all. Grampy and I have a good life! I would have loved this cake class!! I’m so glad she got to take it and that she had a friend to hang out with! They look so cute in their aprons!! Great job on the cakes! I really wish I had this kind of opportunity when I was her age – both to go to Cake Camp and to cook with my Grandma more. So I am taking advantage of it now! I’m a lucky Grandma. She is definitely well rounded. Amara did a great job on her cake. I definitely have a sweet tooth so I am glad she loves to bake! Best part of Cake Camp was getting to sample everything. Yum! Wow! Those are some impressive cakes. I took a decorating class when I was on maternity leave the first time, 35 years ago. It has come in handy over the years. I have never tried fondant, but my daughter is great with it. But then she studied art. I do think Amara’s art skills give her a huge head start with fondant. I couldn’t make a monkey out of clay so why should I figure I can make one from fondant!! Cake camp? What a great idea! Will Amara be entering her creations into the fair this summer? No fair for her this year but I am sure going to suggest it for next year! I think you have to have those entries in quite a ways in advance but thank you for the reminder, I will check it out. She went to the OC Fair last week and I heard all about the animals, food and rides but she didn’t mention if she went and saw the cakes or not. I will have to suggest that, too! My Mom, her Great Grandma, used to always enter cakes in the Hillsdale County Fair and has tons of ribbons to show for it. I’m trying to get some of those pictures so that I can share them with Amara – and inspire her! I’ve never heard of cake camp, what a great idea. The cakes are beautiful and she looks like she had a great time. I’m not much of a baker, but I hear fondant is difficult to work with. This will be a great skill for her to have, and make for fun times with mommy and grandma. They have lots of cake decorating classes for adults and they were so smart to offer classes for kids. Amara was kind of disappointed that there were no boys taking the class and some boys really like to cook. I am a pretty good baker but that fondant thing is not part of my skill set – and now I don’t need it to be! I make the world’s ugliest cakes. I simply have no talent for it at all. There are always a need for a fun dessert, and I see lots of artistic edibles in your future. Yummy. You have so many other amazing talents did you really expect to get all of them? Besides I’ve eaten some beautiful wedding cake that tasted like cardboard. I bet your ugly cakes at least taste wonderful! How fun! I’ve taken all the Wilton cake classes, and I took my nieces to the cupcake decorating class. I can not wait until my daughter is old enough to take cake classes! Thanks for sharing this, it just melts my heart! You two will have so much fun together as she gets older! I love that we now have 3 generations roaming the isles of the cake store together and exchanging ideas and recipes. It gets better every day!